Handmade gifts from the heart or special time spent making memories together will make Mom feel extra special this Mother’s Day! We’ve got lots of vases, bowls, platters, planters, boxes and you name it! You won’t have any trouble finding the perfect gift. Last day to paint gifts in time for Mother’s Day is Monday, May 7! Kids grow up fast! 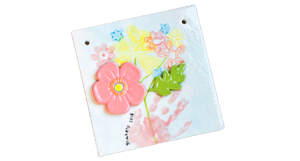 Hand & Footprint Keepsakes are the perfect way for mom to remember these special moments from when they are little. Paint your own or if you are short on time…Select a design. We’ll help get your child’s print. Then..WE FINISH IT FOR YOU! Your custom painted gift will be ready for pick up in 10-14 days! At Paint Me A Story kids will listen to a story and create a related paint project. 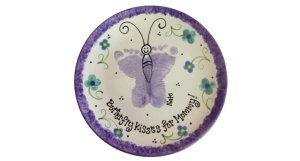 The kids will have tons of fun and parents will have a cherished keepsake. 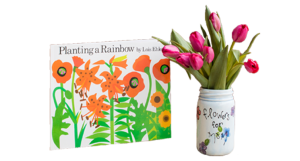 This special time is great for kids age 2-6 and this month’s project makes a great gift for Mom or Grandma! Kids Night Out is the LAST FRIDAY of every month from 6-8:30pm! KNO is a great opportunity for kids age 6-10 to hang out with friends, paint, watch a movie and play games! Drop off the kids and enjoy a few hours out while they create a special gift for Mom! 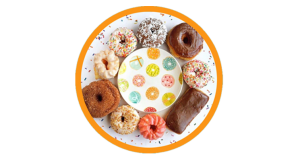 Our Annual Donuts with Dad event is the perfect chance to spend some quality time with the kids and make special gifts for mom! Join us on Saturday, April 28th from 9am-11am. Donuts, coffee, milk and staff on hand ready to help you create just the right keepsake to tell Mom how much she is appreciated. Make your reservations now for our Muffins with Mom event on May 13th! 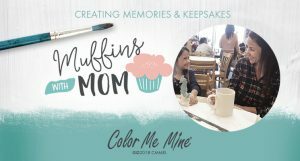 Enjoy free muffins and treat mom to a creative morning painting on her special day! Check our Calendar for more information, specials and to make event reservations!